Designed for safety and lower replacement costs. 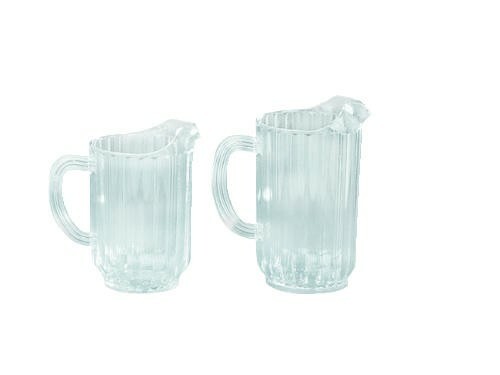 Durable polycarbonate pitcher resists chipping and breaking and is lighter than glass. Drip-proof spout. Handle designed for comfort and control. Dishwasher safe. Certified to NSF/USDA Standard #2. Clear.